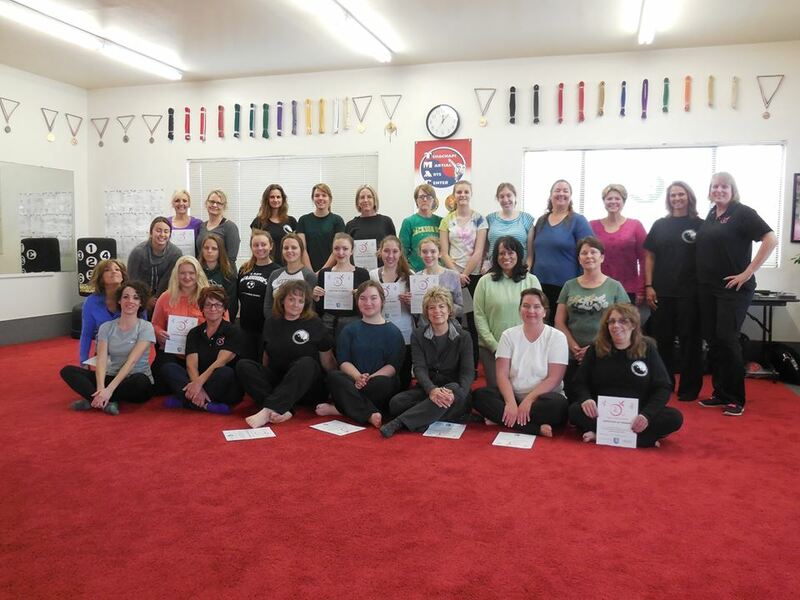 Tehachapi Martial Arts Center is now offering a women’s only program that empowers women by teaching self-awareness and personal protection. Classes are taught by certified black belt women that have been certified in the TRU system. The TRU System: Trained- Ready- Unafraid, was created by Master Trina Pellegrini. It is geared towards women of all ages and all physical abilities. The focus of this program is to empower women through situational awareness. Students will learn simple, yet effective, methods and techniques to keep themselves safe in many situations. These classes are offered as sessions with specific beginning and ending dates. Please contact us for more information. No previous experience necessary. Fun, engaging, informative, empowering, essential, effective…these are some of the words used to describe this class by previous students.